If you're in any doubt whether you've clicked on the right site, especially if you've visited before and don't recognise the place, this is the site of K. S. Dearsley–that's me! The site has been given a fresh new look, but the changes aren't only cosmetic. It's been streamlined, and the content's had a makeover too with new tips and reorganised listings to keep everything more relevant and up-to-date. Anyone who misses the old bibliographies will find them archived. It should make the information you want easier to find whether you're interested in reading my work or creating your own. Like many writers, I started making up my own stories as a child, and continued to write while earning a living in a variety of jobs. I've been a writer in residence at artists' studios and a freelancer for businesses and the press. I've never felt confined to a particular form or genre, so you'll find sections on plays and poetry, flash fiction and short stories, Twiction and novels. I hope whether you're a reader looking for an interesting read, or a writer needing advice or inspiration, you'll find them here. My latest news is listed below and you can keep up with what's happening by checking out my blog. Take your time, browse around and enjoy! * 'Wingbeats' is due to be broadcast as a winner in the Midnight Audio Theatre's 8th annual scriptwriting contest this spring. Visit http://www.midnightaudiotheatre.com for details. * 'The Inspiration Machine' is due out in Diabolical Plots in April. For details, check out http://www.diabolicalplots.com. * 'Eternal Summer' will appear in Poetry Nook's upcoming anthology of winning and highly commended poems. Visit http://www.poetrynook.com or go to BlueFlute on Facebook to find out more. * 'The Chasm' is a finalist in the Pen 2 Paper short story contest. Find it online at https://www.txdisabilities.org/pen-to-paper along with all the other finalists. * Now on sale! 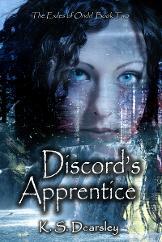 Paperback editions of Discord's Child and Discord's Apprentice are now available from Amazon. 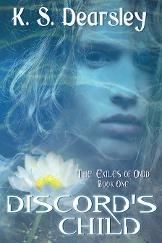 "... an accomplished and compelling piece of writing and the ideas behind it are impressive." The Short Story Unit, BBC Radio Drama on 'Maternal Instinct'. "This is a kind of modern-day Aesop's fable and as such is great fun. This was original, animated and genuinely funny." 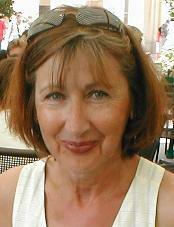 Lorna Ferguson, Annual Writers' Conference judge on 'A Real Party Animal'. "An ambitious and well crafted play... This kept me engaged throughout." Simon Smith, The Sussex Playwrights' Club judge on 'Whistling the Death March'. "I have to tell you that 'Panteknikon 14'... absorbed and haunted me... it's a skilful and powerful piece of writing." "This is a fabulous story. Well-written, completely engaged and with a strong voice." Kada McDonald, Editor Clonepod on 'The Demon-dancer of Ramjoah'. "The language of the piece is truly lovely..."
Gary Lee, Pseudopod on 'Soon Beloved'.